It’s almost summer in Orlando, which means it’s time for messy up-dos, curled buns and sun-bleached strands. It goes without saying that you’ll be pulling out your favorite shades and eyeglasses to complete your looks this season. But, have you ever wondered if your eyeglasses match your hairstyle? Instead of only worrying about face shape when picking out your next pair of glasses, you should also consider matching your eyeglasses to your hairstyle. Striking eyeglass-hairstyle leave lasting impressions and we’re here to help you do just that! Middle Part: Do you part your hair down the middle? If you’re game for a little fun, try on a pair of retro, cat-eye eyeglasses. Choosing the perfect pair of eyeglasses for your hairstyle shows that you have class and a sense of style. Taking a few moments to make sure everything coordinates will set you apart from the pack this summer. Now that you’ve learned all about matching your eyeglasses to your hairstyle, it’s time to take advantage of our latest sale where you can get 30% off your first pair of glasses and a second pair for free. Why not purchase a pair for when you’re wearing your hair up and another for when you’re letting your locks flow. We look forward to seeing you soon! Take part in our SUMMER Selfie Contest by uploading your selfie with your favorite sunglass or summer glasses. Keep Your Children’s Eyes Healthy! School is almost back in session which means it’s time to think about protecting your child’s vision. Proper eye care ensures your child will see everything their teacher shows them. Here are some tips on how to protect your child’s vision. Before school is in session, take your child to your local optometrist to have a detailed eye examination. It’s imperative that your child eats a nutritious diet to maintain healthy eyes. If your child comes to you with something in his or her eyes, flush them for at least 20 minutes. If you’re an Orlando resident, bring your child into any 20/20 Eyeglass Superstore location for a full examination. 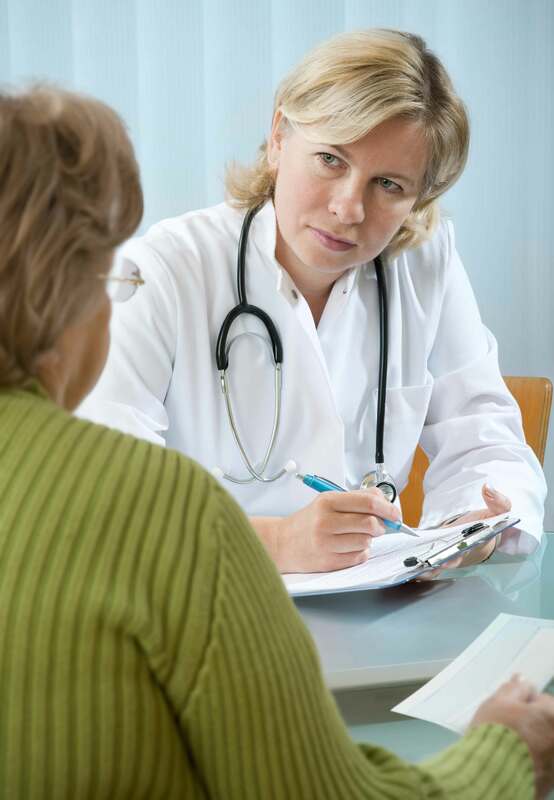 Make sure you arrive 15 – 20 minutes prior to your desired appointment time to fill out the required paperwork. 1. Choose eyeglasses that flatter your child’s face. Most children have round faces which means a squarish style will look best. You should also choose smaller frames. 2. Pick frames that are flexible for your child. We know bright, colorful, plastic frames are all the rage for 2013 but they can be brittle and break easily. Metal frames are easier to adjust and you should look for eyeglasses with titanium hinges that will bend easily with your children’s movements. 3. Pick frames that are impact-resistant such as polycarbonate lenses. We all remember gym class, make sure your child’s eyeglasses will stand the “ball in the face” test. Another way to protect your child’s lenses is to add an antireflective coating. 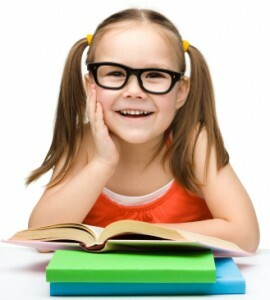 The best way to choose eyeglasses for your children is to include them in the process. Personally, my daughter needed to start wearing eyeglasses when she was six years old. I was very worried that she wouldn’t want to wear eyeglasses, but, surprisingly, she was very excited to purchase her new frames! She started a trend in her school and all the kids begged their parents to purchase frames, even if they didn’t need a prescription! 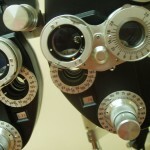 If you’re on the market for new eyeglasses for your children, we hope you’ll consider 20/20 Eyeglass Superstore. You’re welcome to bring your little one into any of our locations and try on as many pairs as you like. We look forward to seeing you soon. We have exciting prizes for you so hurry up!! Drop in at any of our 20/20 Eyeglass Superstores to try on our latest styles and earn a spin on the prize wheel.